There are many new bingo sites that hopped on the scene in 2017 including Plush Bingo and Swag Bingo. Both run on Cozy Games software and a terrific selection of bingo and slots. While the themes on these new bingo sites differ, the new player bonuses are the same. Both Plush Bingo and Swag Bingo offer £15 free before you even make a first deposit. Then as soon as you make your 1st deposit you get another 500% match bonus. Players get to claim even more with their 2nd and 3rd deposits, with a 350% and 300% bonus respectively. 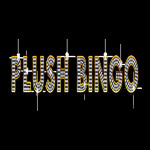 Both Plush and Swag Bingo have amazing bonuses and promos on their sites. When you log into the Bingo Reward Store you get 10 free tickets to play free bingo with real jackpots. Jackpot Fiesta lets you enter special jackpots games for free whenever you make a deposit into your account of at least £10. This added perk gives you the chance to win up to £1,000 in the Super Jackpot game! Plush Bingo and Swag Bingo also have a Refer a Friend bonus, Loyalty Rewards, Deposit Specials, Cash Back bonuses, Chat Games, and more. It’s also pretty easy to pay and withdraw winnings with several banking options including PayPal, Boku, Paysafecard, and more. 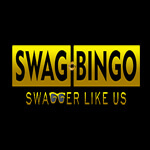 Check out these 2 new bingo sites today and let us know what you think!